The program provides fundamental knowledge for responding to transportation incidents involving radiological material and builds on training in existing hazardous materials curricula. The course is designed in modular format, consisting of 16 concise, easy to understand modules and 4 hands-on practical exercises. This course meets Pennsylvania Emergency Management Agency (PEMA) criteria for the initial training for Radiological Response Team (RRT) members. The course is provided through the Northampton County LEPC along with the US Department of Energy at no cost. The Public Information Officer Awareness Course (G289) is designed to acquaint participants with the concepts underlying the PIO role. Taken alone, this course can provide a basic understanding of the PIO function for those new to the position. Additionally, this training is a prerequisite and foundation for more advanced training that takes participants from the awareness level to the mastery level in their public information careers. The course is provided by the Pennsylvania Emergency Management Agency at no cost. This course is designed to teach the instructional methodology to potential and existing instructors needed to deliver the following program. This program was developed to provide the necessary resources to address trailer operations and safety for Emergency Services Organization (ESO). Trailers have been around for years, however, it is the increasing use of them in the emergency services setting that is new. Frequently, equipment is needed that cannot be carried on traditional vehicles or the equipment is needed sporadically. This equipment could be for day-to-day operations or for special operations. Trailers have become a mechanism to transport this equipment, however, many departments lack the expertise or training to hook up or move a trailer safely. As the use of trailers increases it becomes imperative to educate proactively to avoid unnecessary loss of life and property. 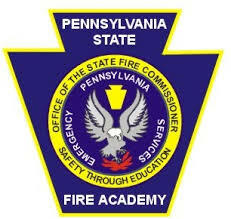 The Pennsylvania State Fire Academy is offering this 8-hour class utilizing curriculum developed by numerous agencies working with the U.S. Department of Transportation’s Pipeline and Hazardous Materials Safety Administration (PHMSA). This course provides critical information on best practices related to rail incidents involving unit trains hauling Hazard Class 3 flammable liquids such as Petroleum crude oil and ethanol. Friday, April 22, 2016 at 8:00 a.m. or Saturday, April 23, 2016 at 8:00 a.m.
To register, please complete an application and email to ra-emaeer@pa.gov or mail it to Jerry Bimle at the PA State Fire Academy. Register early! Deadline is noon on April 1, 2016. PRE-REGISTRATION IS MANDATORY, NO WALK-INS WILL BE PERMITTED! NO LATE OR FAXED ENROLLMENTS WILL BE ACCEPTED!